We've been to Portugal enough times to know we're unlikely to bust our budget on this visit. So, instead of searching out the airport bus, for a change, we take a taxi. This time we'll arrive at our destination without any missed stops or wrong turnings, upside down maps or curses. It's twenty minutes to our destination, the sun is shining and the driver is chatty and friendly. Almost there, then she takes a wrong turn. 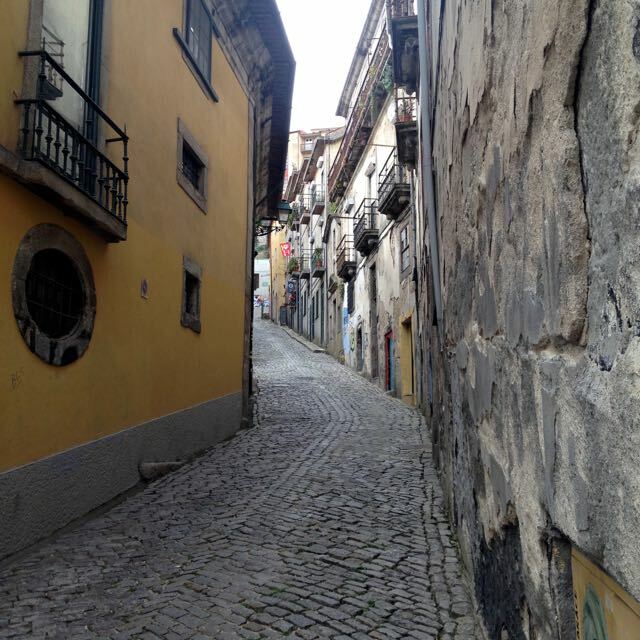 Here is our lesson in negotiating the narrow ruas of Porto. Just when that knot in the pit of the stomach would be tightening if we were flying solo, a local comes to the rescue and sets us back on the right estrada. We're headed for Foz, but more of that later. 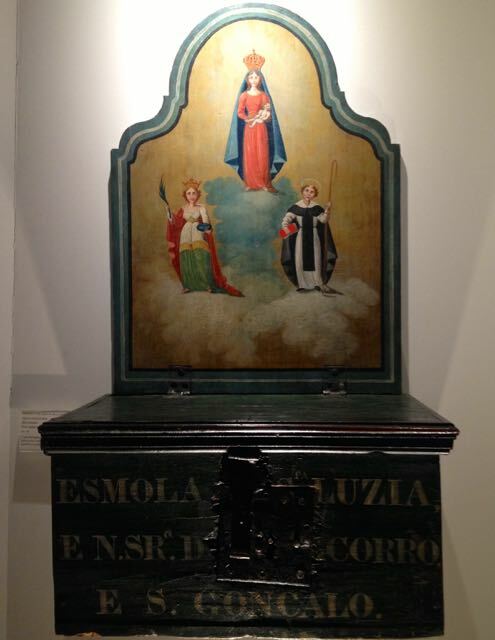 Porto's history has been influenced by Celts, Romans, the Moors, the Spanish, the Portuguese and the English. Added to this mix are the effects of Portuguese colonisations. All are documented in its architecture which is as varied as anywhere I have ever visited. An awful lot of it also looks neglected or entirely abandoned. 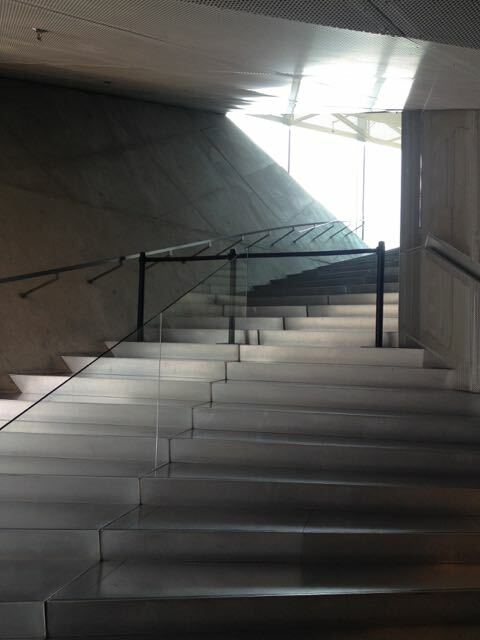 There's the modern too, in the shape of Rem Koolhaas' Casa da Música - more interesting on the inside than out, I think - and Fundação de Serralves by architect Alvares Silva Vieira. I wish I could say I enjoyed the collection at the Serralves but a change of exhibition was going on which denied us access to most of the rooms. They did have a lovely Agnes Martin though. 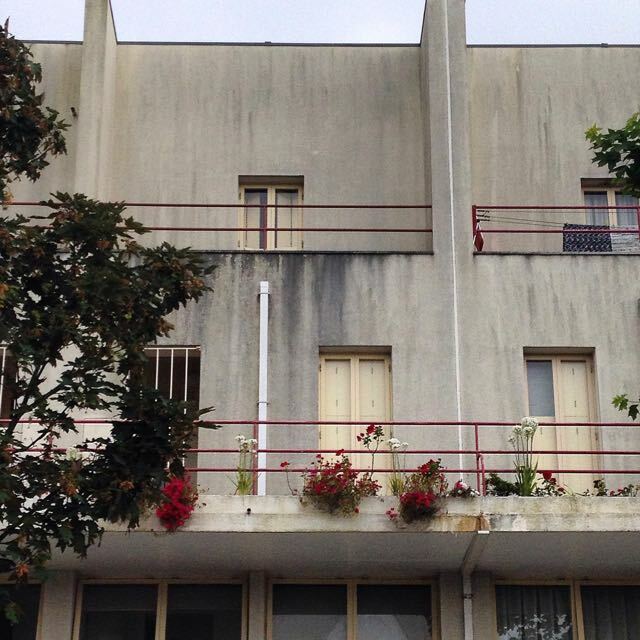 Porto also has Complexo da Bouça, a 1970's social housing project by architect Siza Vieira. This one appealed to me. 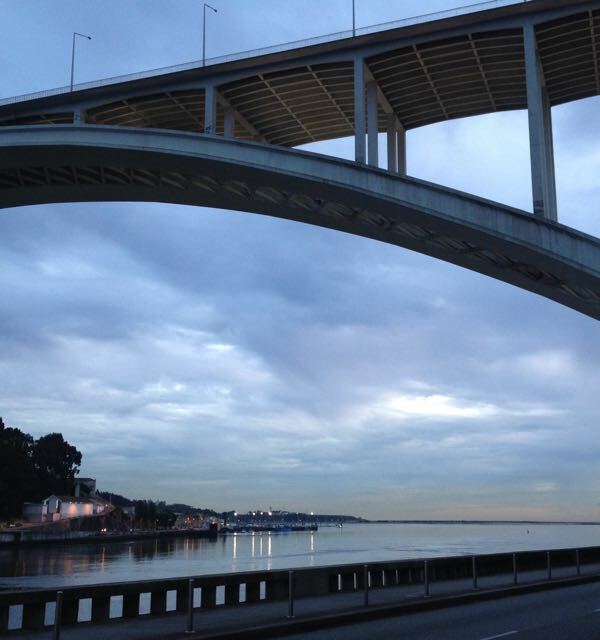 For food, let's start in central Porto, rising up the hill from the Douro River. At Mercado do Bolhão I expect to see Sardinhas and so, of course, I do. Only mostly they aren't. The fish I mis-identify are actually small Carapaux (Horse Mackerel), nicknamed Jaquinzinhos. The clearly outlined backbone of the Carapau suggested a difference but it's not a fish that's popular in the UK and, hence, not one we tend to see. They are not a mackerel at all but a member of the Carangidae family which the Portuguese value highly, as do the Spanish. The Japanese use it for sushi, so it clearly has merit. Seemingly held together by paper and string, Mercado do Bolhão looks as though it hasn't had a penny spent on its fabric for decades. Markets draw tourists like a magnet - I can't complain, I'm one of them. It's disappointing when the first thing you see is gift stalls, but push on. On my visit, a stall smothered in freshly pulled garlic was the show-stopping sight. Fruit and veg traders busied themselves podding peas and broad beans for those customers who didn't want to do it themselves, and each stall had a little shredding machine yielding a tumble of finely cut greens for the making of Caldo Verde. And, of course, fish. 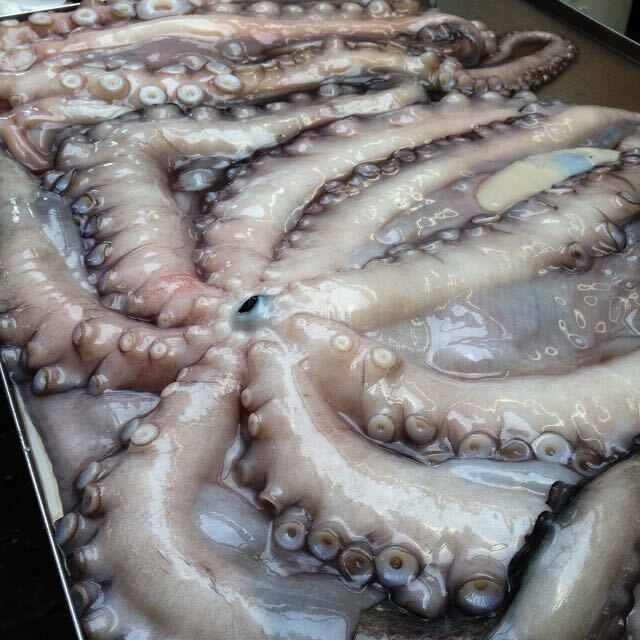 What the fresh fish on offer lacked in variety at the end of a stormy May, it made up for in quality. Silver/pink/blue Carapaux and irridescent Sardinhas - a choice of large and small in both; tiddly but mighty-flavoured anchovas; pink/grey fleshy Polvo; leather-jacketed Pedunculata (Goose Barnacle); Linguade (sole); black as night Peixe Espada (Scabbard fish); and easily identifiable true mackerel. 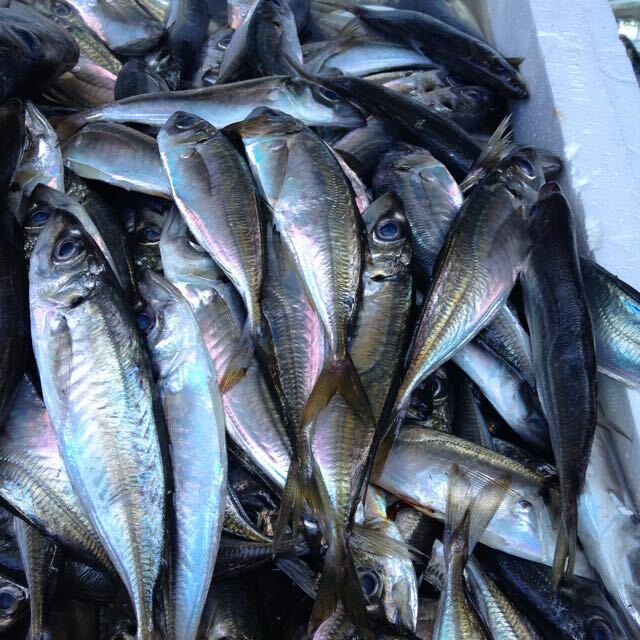 We were too late for the autumn/winter catches of Salmonete (a locally-caught mullet). There are good chefs in Portugal but Quentin Crewe's decades old advice to look for "simply cooked, plain food" is still good counsel unless you are being guided. A bowl of the Portuguese Caldo Verde is a wonderful thing and you'll find it at the cheap lunch spots in and around the markets and throughout Porto. Bread is an important element of the cuisine and it can get a bit repetitive but you would be foolish not to take the steep walk up to Praça dos Poveiros for Casa Guedes. 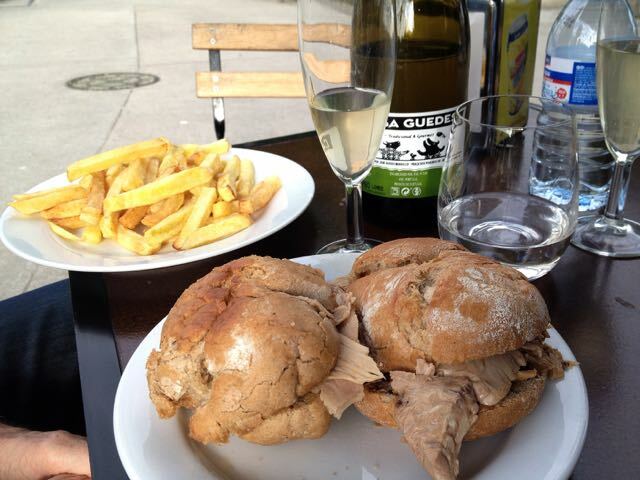 Recommended by a Portuguese chef friend working in London, it's all about the Pernil de Porco (roasted pork) sandwich. And what a pork sandwich it is. Good meat, beautifully cooked, expertly sliced and moistened with its juices, pepped-up with a little chilli heat, it's served up in a robust bun. Personally I'd pass on the offer of the addition of Serra cheese. The house wines are good and there's Super Bock on draught. The room is tiny and basic but there are a few tables outside. These overlook a small park where a leper hospital stood in the Middle Ages. 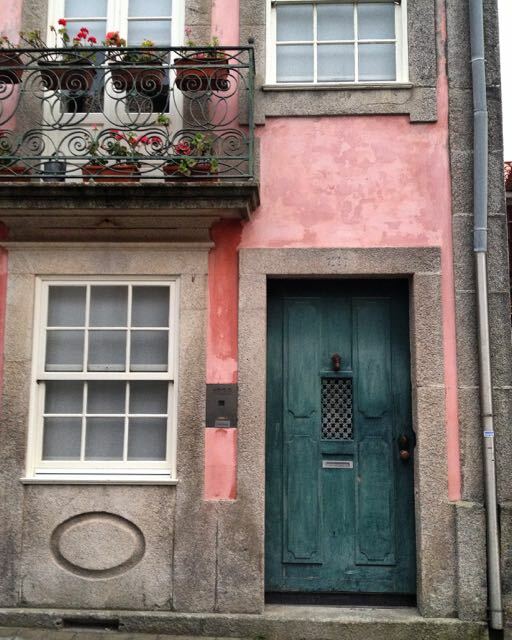 Go early in your visit to Porto because I guarantee you'll want to go back to Casa Guedes. Porto's food is certainly not fancy. Though the city does boast a Michelin starred chef, Pedro Lemos who's Restaurant in Foz offers a menu priced to match his status. But even he has embraced the love of the Portuenses (Porto residents), or Tripeiros (eaters of tripe - look it up), for the humble sandwich. 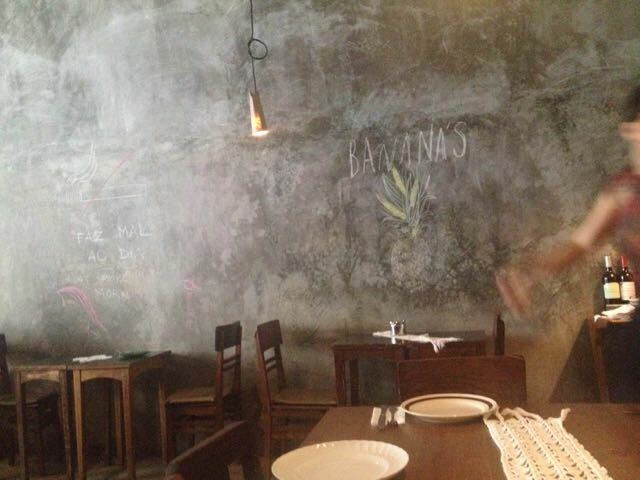 Here, at his new place, Stash on Praça Guilherme Gomes Fernandes, he has taken it upmarket. The bread is the best we found in Porto and the quality of the ingredients top notch. Try the Crab - fried soft shell crab between brioche-like eggy bread - or the Azores Tuna steak in a traditional Porto-style bun with Avocado. The room is small but comfortable, the service spot on - we may have only wanted a glass of Vinho Verde but it was standard practice to pour a sample of two for us to choose from. Lunch for two with a shared salad and a generous glass of wine each came to less than Euros 30. Praça Guilherme Gomes Fernandes is a useful address to know. It's a pretty square with a number of good places to stop for a coffee or more. Opposite Stash is Leitaria da Quinta do Paço. This has its roots in the dairy business and sells cheeses and very good butter. It is where the Portuenses indulge their love of sweet things with good, crisp Chantilly cream-stuffed Eclairs or opt for a Nata. 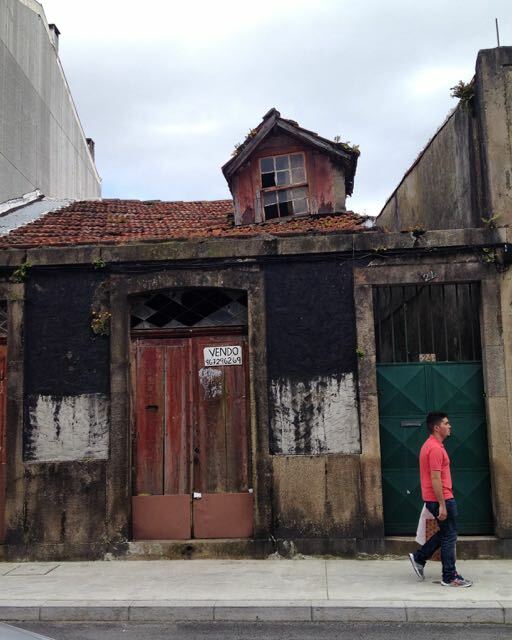 On the subject of Nata, we didn't find a really good one but the unassuming Confiteria Sao Domingos on Rua Sao Domingos, at the bottom of Rua das Flores, was a good pit-stop for coffee and very fresh Bola Arroz and Nata. 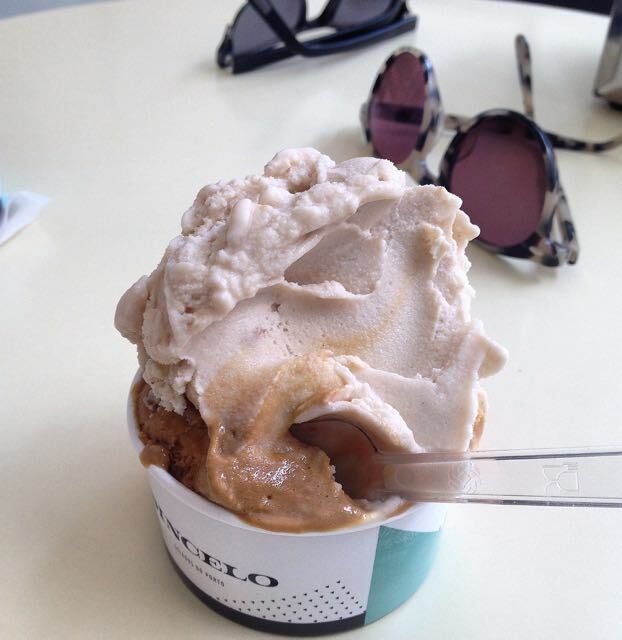 Just around the corner from Praça Guilherme Gomes Fernandes, on Rua de Ceuta, is Gelateria Sincelo serving scoops of delicious, seasonal ice creams and sorbets. The difficulty here is in choosing from the range. Their Dulce de Leche is very fine, and always in season! And then, just as we were feeling the need for something different, we found Miss'Opo on atmospheric Rua dos Caldeireiros. Guest House/art gallery/cultural exchange/coffee shop/bar/cafe and more. Definitely the most vibrant place we found in Porto with interesting and interested staff. And there's a young chef in the kitchen serving really good, simple food. Brunch was on offer when we arrived. Ovnis (eggs) were served as a kind of frittata with mushrooms and a peppery radish and landcress salad with sweetly-spiced nuts. Tomato Cake was intriguing and delicious, and sparked one of those conversations with the staff about our perceptions of sweet/savoury, and me trying to describe the delights of pea-pod ice cream. This food was not at all typical of what we'd encountered. If we'd found Miss'Opo earlier on our visit we'd have returned several times. We came across a number of good small food shops in central Porto for cheese, charcuterie, dried fruits, tinned fish and various kinds of Bacalhau, including Casa Natal, Casa Laurenço and Feira do Bacalhau. There is also a very good-looking butcher's shop, Talho do Bonjardim (486) which does sell the tripe the residents love. The shops are within a couple of minutes walk of each other on Rua Formosa and Rua do Bonjardim, between Mercado do Bolhão and Trinidade Metro station. 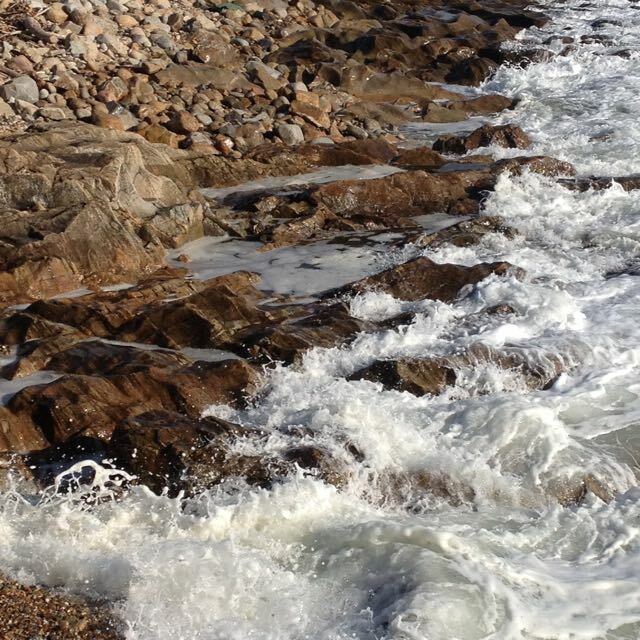 Moving West to the Atlantic coast, returns us to Foz, where we started. Here the wide Douro river meets the Atlantic Ocean. Foz, we were told, is the bourgeoise area of Porto, about 5 km west of the city centre. Up on the hill sit smart apartments, but tumbling down to the waterside are former fishermens' cottages. The occupied ones are all painted walls and wooden shutters. Senhoras brush steps, shake mats and swap gossip on their doorsteps, while making sure the area's cats don't go hungry. The more picturesque and architecturally-proper looking the cottage on the outside, the more likely it is to have been transformed behind the frontage by one of Porto's most celebrated architects. But there are plenty of abandoned-looking properties too, even here. 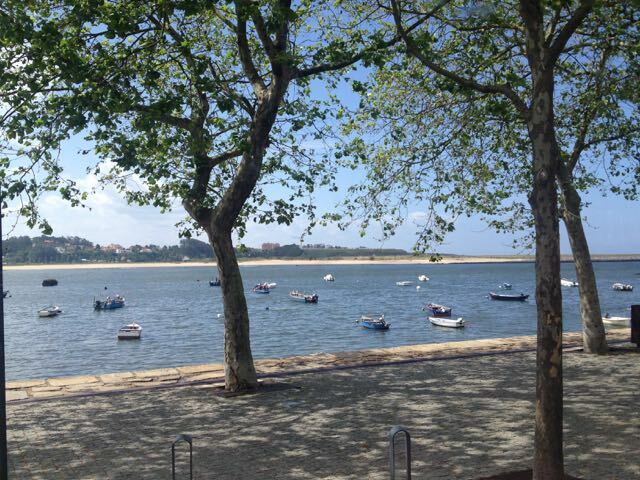 Foz is a small area, bordered to the south by the river Douro, just before it meets the sea, and to its west by a stretch of sandy but rocky coastline. When you've had your fill of walking beside the gentle, wide Douro, you can turn your face to the, sometimes stormy, west where Atlantic breakers crash onto the rocks and lighthouse of Foz. 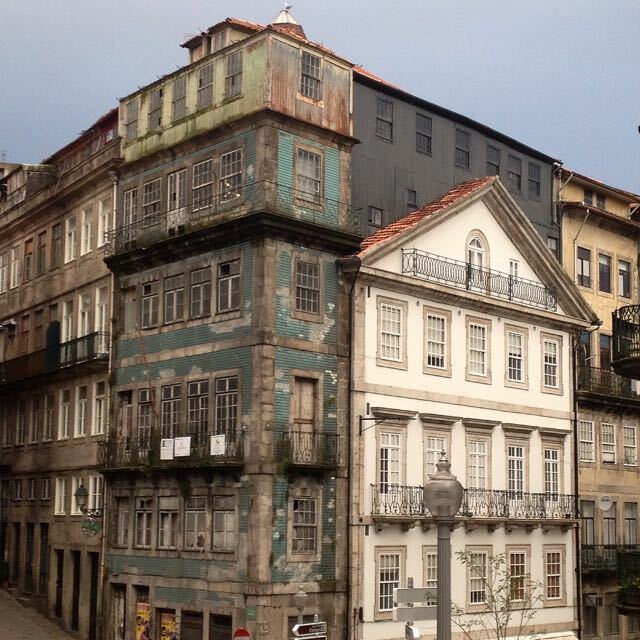 It was a contrast we relished on our six day stay in Porto. Buy a 72 hour Andante card for unlimited journeys on bus, metro and train. The Metro is good but limited - it doesn't go very far west. The buses are great, though the timetables posted seem to be purely advisory. The No 500 starts at the lower end of Praça da Liberdade and follows the Douro river to where it meets the ocean and on north up the coast to the fishing port of Matosinhos. There are plenty of bus stops en-route. You can walk, jog or bike the whole route too. It's a good stretch. Soon the Atlantic coast becomes less rocky, the beaches wider, and the waves provide a surfers' paradise. Stop off at Confeitaria Doce Mar Av. do Brasil 519. A neighbourhood cafe with just out of the oven 'croissants' (more doughy than you might be expecting, but good all the same), freshly squeezed orange juice and decent coffee for breakfast. Carry on up to Matosinhos for the freshest, simply-cooked fish at Salta o Muro (translates as 'Jump the Wall'), a family-owned restaurant at Rua Heróis de França 386. What were described as Sardinhas turned out to be fried Carapaux/Jaquinzinhos (Horse Mackerel), but were very good. A large Piexe Galo (John Dory) was beautifully cooked but, pitifully, its fillets were badly lifted from the bone at the table before we noticed what was happening- best to do it yourself as the locals were doing. Garlicky roasted potatoes and boiled vegetables came unbidden. With a bottle of house Vinho Verde the bill came to under Euros 45 for two. No photos that do the fish justice here as the room is typically windowless and badly lit but it's a good place for simply-cooked fish. Don't worry if you can't get into Salta o Muro, as this is the area for fish restaurants and there are plenty of places on and around Rua Heróis de França. You'll find a number of them firing up barbecues in the street. 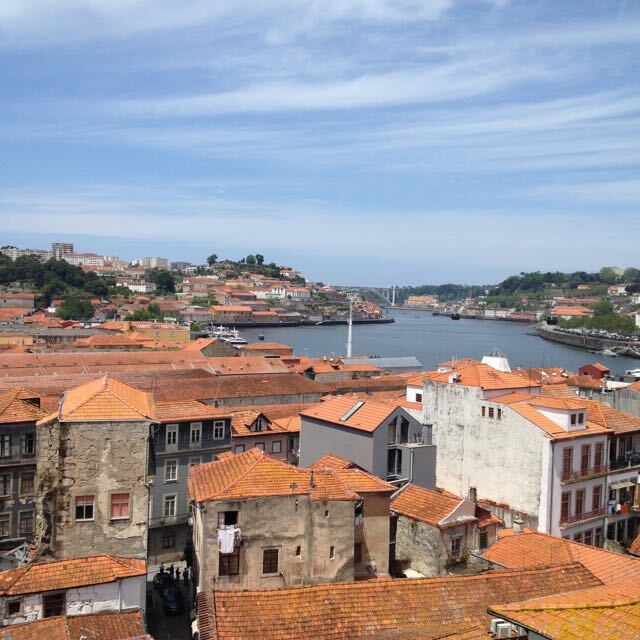 Back in the centre of Porto, we ambled through the Ribeira riverside district and crossed the river to the Port Lodges of Gaia because we felt we should take a look. The Ribeira is a tourist area with everything that entails. The Port Lodges of Gaia were no attraction for us (not being port fans) but there are some good views and photo opportunities if you cross the river. The Douro wines we drank in Porto, by the way, were excellent and reasonably priced. 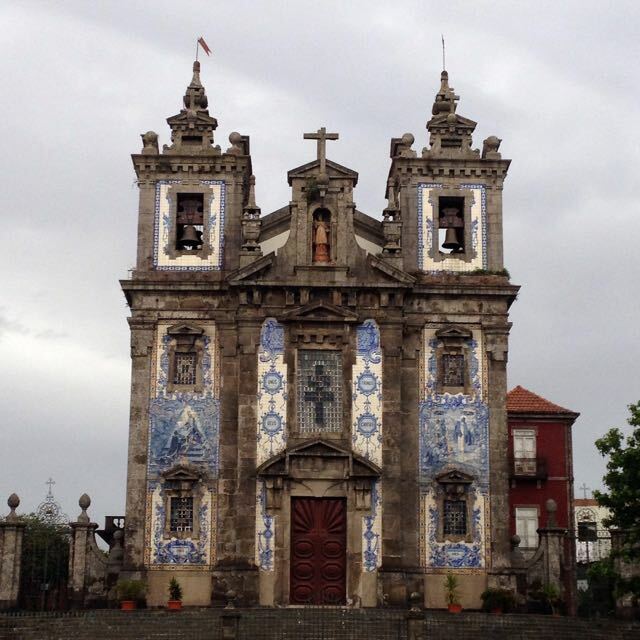 Thanks to a pretty dramatic, and unseasonal, storm on our last day in Porto we missed out on a visit to Sé Cathedral, so I can't tell you anything about its merits. Igreja Sao Francisco, though, I can recommend. As ever, go early before the tour buses arrive. What you read may lead you to don sunglasses before entering. Certainly the 17/18th century oak panels applied to the Gothic interior are covered in gold leaf but the effect is much more muted than you might expect. That said, it's quite a sight. The Dispatch House alongside is worth a look too for the unusual catacombs and religious artefacts. Photographs are allowed here but not in the Igreja. We were glad we went to Porto. Portugal has been through a tough time but there are signs of optimism here. The varied architecture is fascinating - old and new - and I'm glad to see Porto taking part in Open House Porto which runs 18-19 June this year. 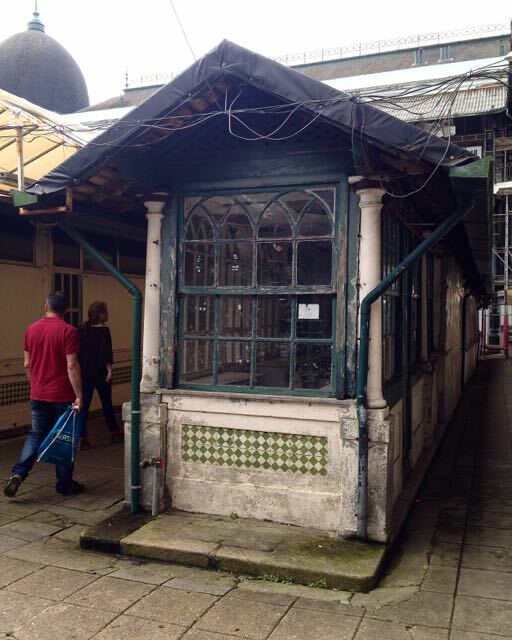 Undeniably photogenic as those decaying properties are, it would be good to see more of them sympathetically restored. We left feeling there was plenty more to see, and it's always good to leave something undone. 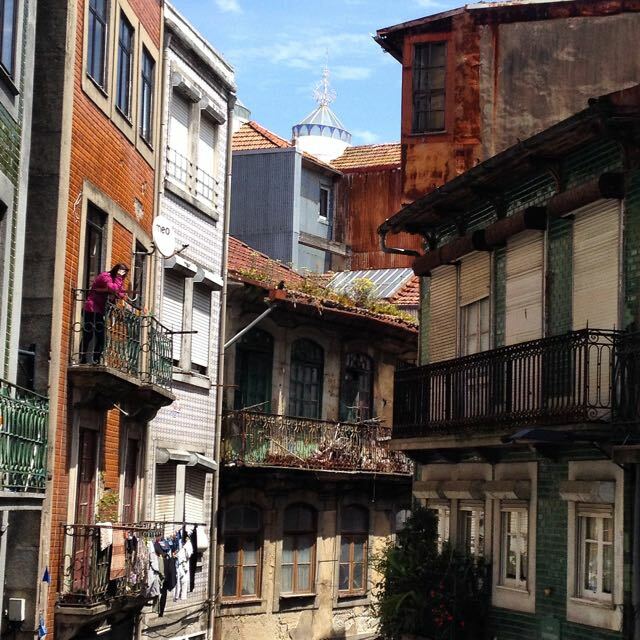 Porto has a lot of genuine charm, as do the Tripeiros.